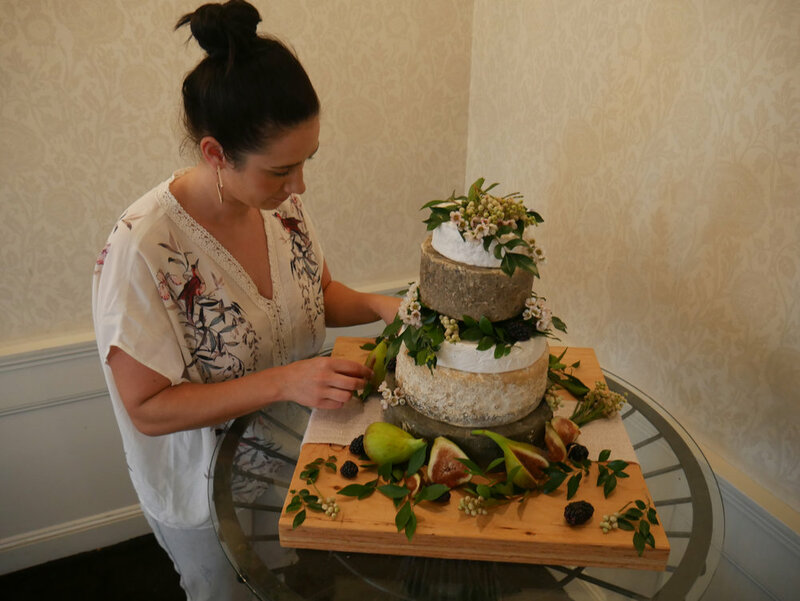 Dunbar House is the most elegant backdrop for Weddings, looking over the most beautiful grand fig tree with magnificent views of Sydney Harbour. 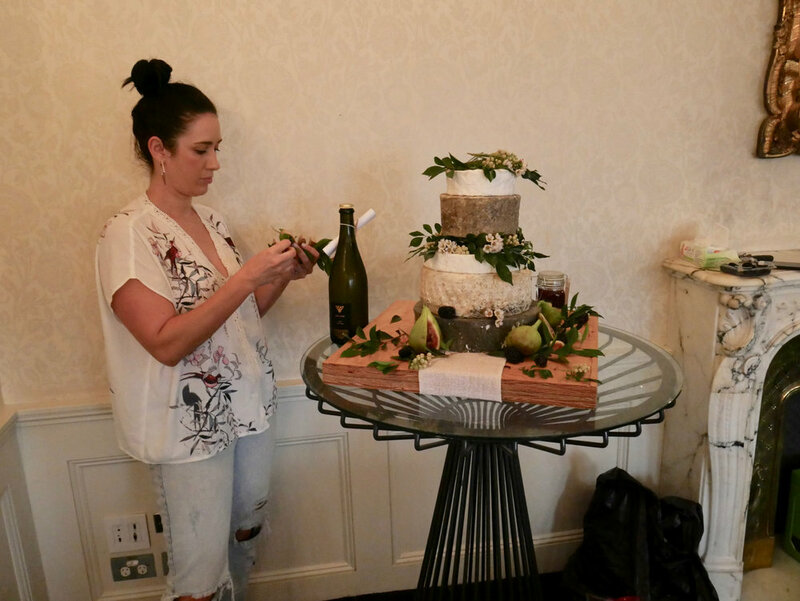 So when the radiant of all ladies Laura contacted us for a Cheese Tower we were more than excited. 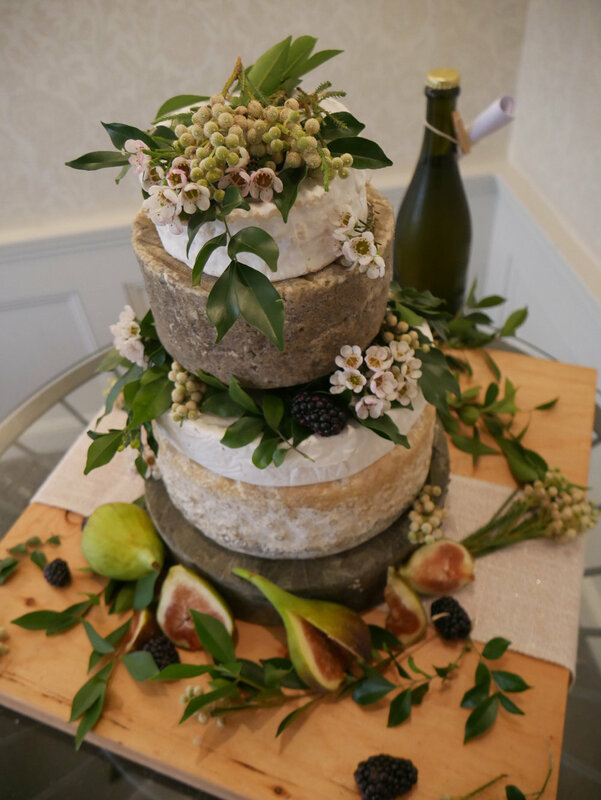 The phenomenal 5 tier cheese tower stood to the right of the bridal table covered in greenery, figs, blackberries and flowers. We want to make the Cheese Tower be a beautiful statement but also blend in with the rest of stunning room decorations. 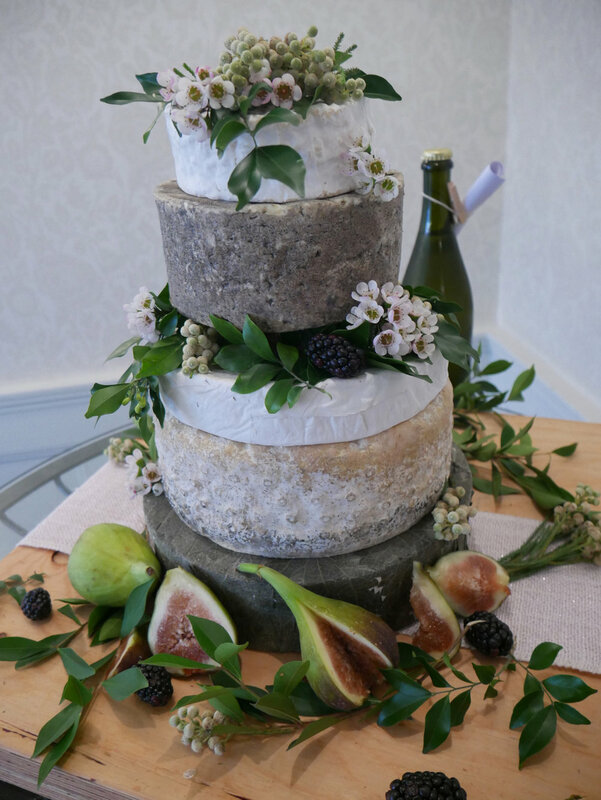 One of our favourite cheeses was sourced for the Tower, the incredible Cornish Yarg, a Cheddar which is covered in stingy nettles. It was the base for the Tower and created that organic feel bringing the rest of the Tower together. 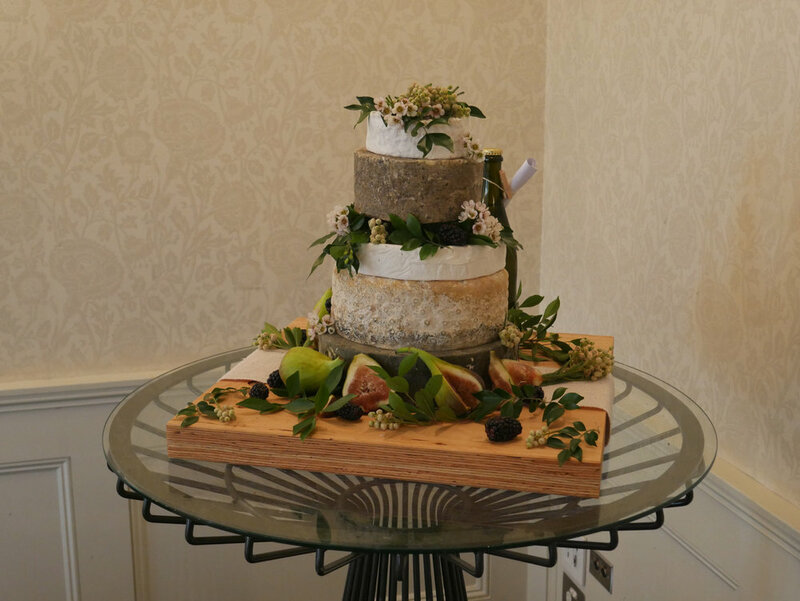 The other Cheeses included Organic Hoddle Brie, Simme Blue, B. Savarin Goats and Riverine Buffalo Blue. The tower was served with Tamarind Chutney, local Cranberry Jam, Quince Paste and Cumquat Jam.